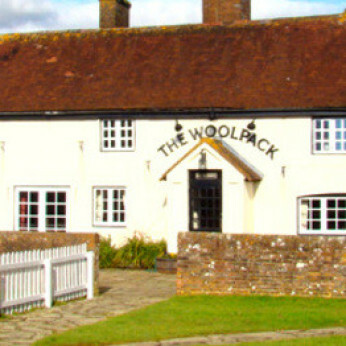 A traditional warm welcome awaits you here at the Woolpack. Burgess Hill's best kept secret, a country pub which was formerly West End farmhouse which in part, dates back to 1621. There is a restaurant area within the Sussex Barn that extends from the farmhouse, which is cosy and comfortable with its eclectic collection of tables and chairs. Food is served throughout the pub and garden and is prepared fresh here every day. Our suppliers are all locally based and we are proud to be working with them. Their details can be found on our menus or under the 'Our Partners' tab on this web site. We work hard to make sure every meal we prepare and serve is as good as we can make it and we pride ourselves on the standard of our service and our relaxing atmosphere. Our allotment, located in front of the Farmhouse, behind the fence separating the duck pond, was created over 18months ago and we will be extending it again this year. We use everything we grow and this includes potatoes, spinach, kale parsnips, beetroot, runner beans, rocket salad, herbs, squash, soft fruit and even cut flowers for our tables. and if there is a particular wine you would like us to stock for you we would be happy to see if we can. We are very proud to have won an award at last night's glittering 2015 Star Pub & Bar Awards ceremony in Liverpool. A big thank you to all our staff and regulars. Cheers!